Diving in Burma, also known as Myanmar, is popular, but there are not so many options. 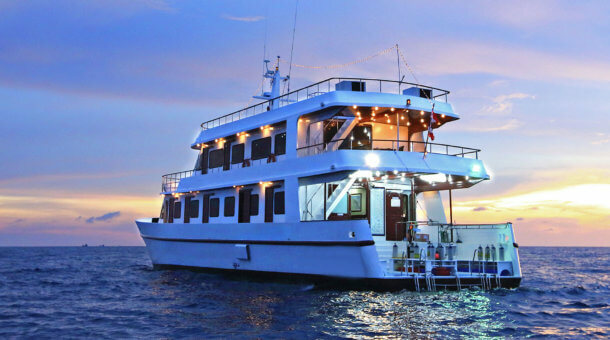 The Mergui Archipelago is visited by liveaboards based in Phuket or Khao Lak. The dive sites cover a wide area of ocean, and Burma liveaboard tours are typically between 6 and 10 nights in length. The islands of Mergui are beautiful and unspoiled, inhabited only by a few groups of Moken sea gypsies. The main attraction for divers always used to be the chance of big fish sightings – many species of sharks and rays are found in the waters of Burma, though in recent years the area is attracting more divers looking for macro life and rare reef fish not found elsewhere. 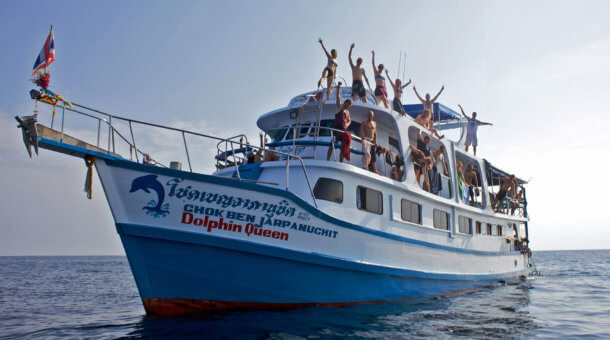 There are only a few liveaboards heading to Burma and as yet there are no dive centers based in Myanmar. The diving in Burma is more suited to experienced divers who are looking for new locations away from the crowds. The dive sites in Burma are certainly not crowded – you may not see another dive boat during your entire trip! The only way to dive these sites is on a Burma liveaboard. There are no day trips and no quick 2-3 day trips. You need a minimum of 5 – 7 days to cover even a part of this vast area. 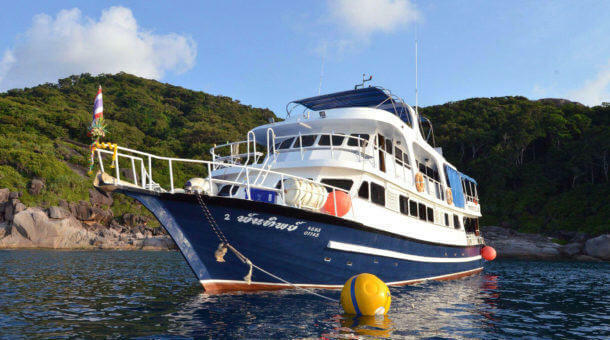 There are currently just a few liveaboards heading into Burma – check here : Burma Liveaboards. 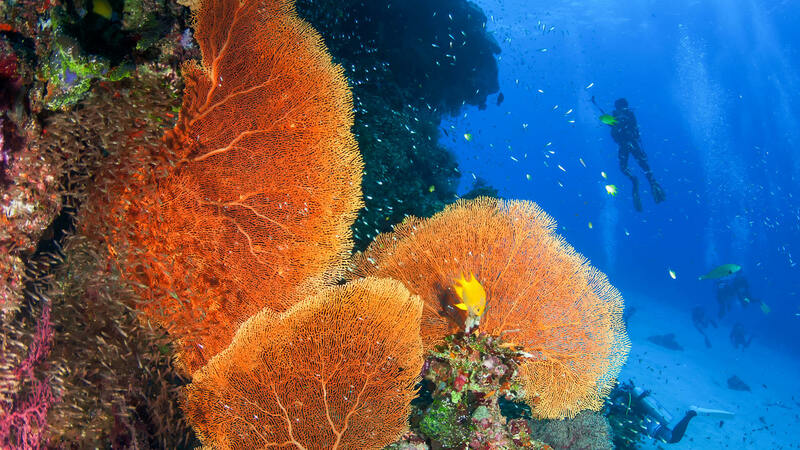 This pinnacle is one of most spectacular dive sites in the Mergui archipelago with an excellent variety of reef life and abundance of large pelagics including Silvertips, Gray reef sharks, Blacktips, Bull sharks, Eagle and Manta rays. There are beautiful soft coral formations in the deeper areas. Located 80 km off the coast of Myanmar, Western Rocky offers a sloping reef, great wall diving and several surrounding pinnacles. A tunnel leads right through the island, with lots of crayfish and usually some large sleeping nurse sharks. Western rocky is one of Burma’s best spots for shark sightings. Encounters with Whitetips, Gray reef sharks, Blacktips or even Bull sharks are fairly common. 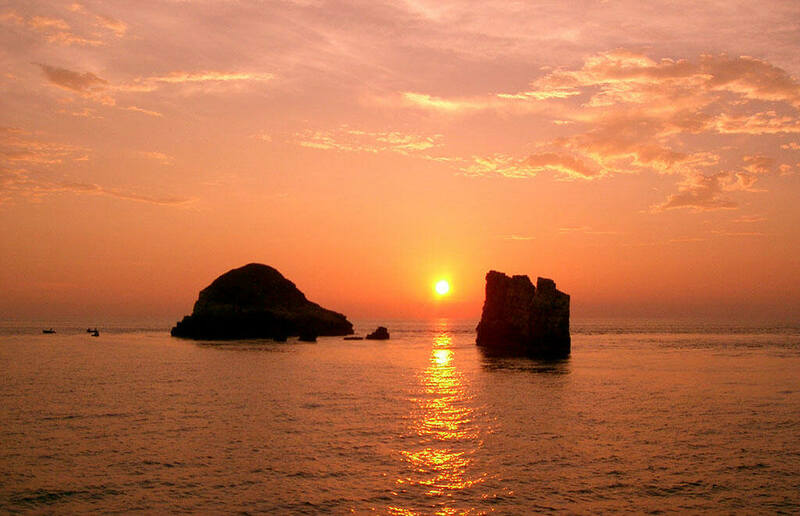 One of the best sites anywhere in the Andaman Sea, also known as “3 Islets”. A channel in the main island at 14-18m takes you to a natural bowl where Gray Reef Sharks are usually found cruising. On the far side of the bowl a tunnel leads to the other side of the island and a beautiful hard coral reef. A mix of steep drops and gentle reefs around a small island, known as High Rock. The depth is only 18 – 25m with plenty of soft coral and cup coral especially in the deeper parts. Seahorses are commonly found hanging on remnants of fishing nets, while other critters are also found hiding in the corals. The site is only about 35 miles from Kawthaung and is often dived on the last day of a trip. This small island is surrounded by deep water and boasts a healthy hard coral reef and a good chance to see larger pelagic fish such as schools of “devil” rays, a smaller cousin of the manta ray. At the West end of the island is a narrow rocky ridge which drops down into the depths and you may catch a glimpse of a shark or two. Follow the ridge towards the island and you come to the reef with a wide variety of species on display. Black Rock – It’s more exciting below the surface! 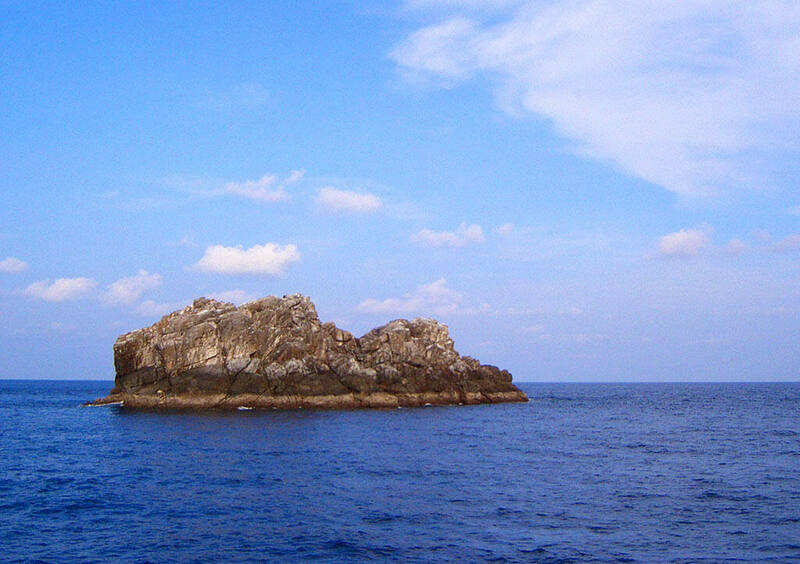 The Burma Banks are a collection of seamounts located some 180 km north west of the Similan Islands. With surrounding waters exceeding a depth of 300 m, the top of the banks rise to within 15-24 m of the surface. The Banks used to offer one of the world’s best shark dives due to their large population of silvertips, but in recent years, fishing has made the reefs much less active. Most boats now don’t go to the Banks and prefer diving the better sites in the Mergui Archipelago.